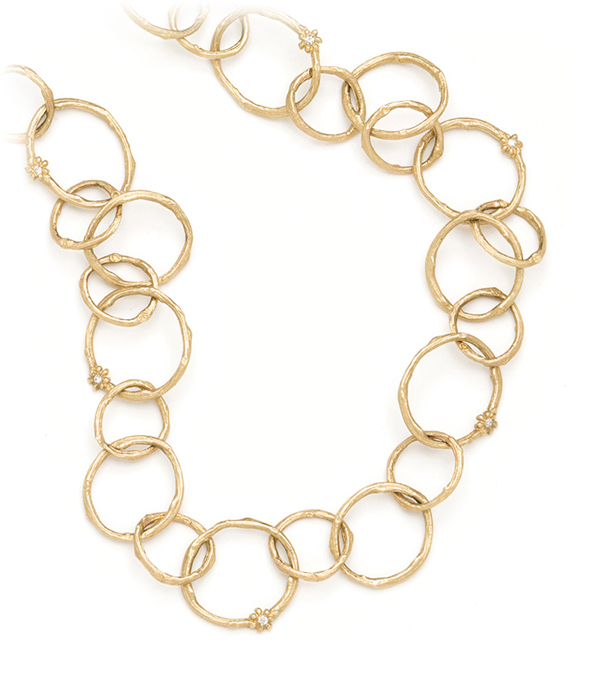 A "forever" piece- our 14K gold signature twig chain is composed of interlocking links in a variety of sizes accented with tiny flowers and diamond centers. 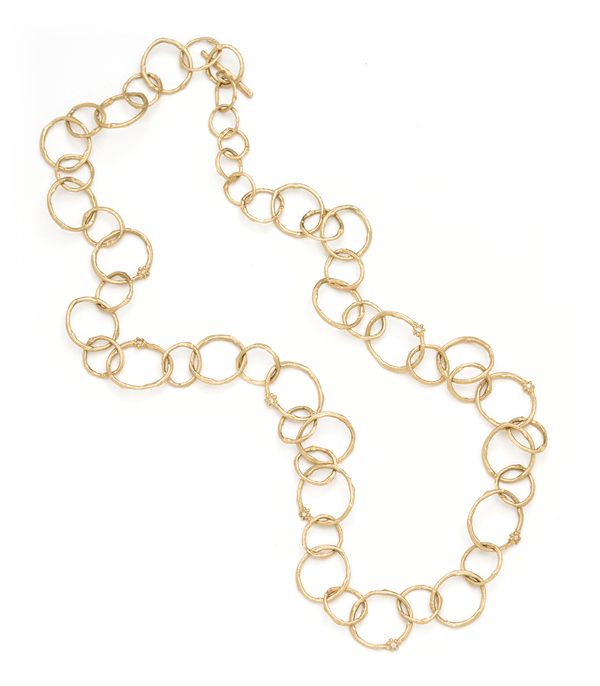 This substantial chain looks stunning alone or paired with a detachable pendant. For those adventurous ladies who never settle when it comes to accessorizing, you can be creative and wrap it around your wrist for a fun layered bracelet look. The piece is finished with a branch textured toggle and our signature designer SK tag. Chain measures 20". Categories: Bohemian Elegance, Earth and Sky, Modern Bohemian, Necklaces.